A wedding is a special time! Family and friends come together to celebrate the love of a special couple. Share this love with the Classic Wedding Poster. Whether you're celebrating a wedding among friends or hosting a wedding expo, this stylish poster is just the right choice. 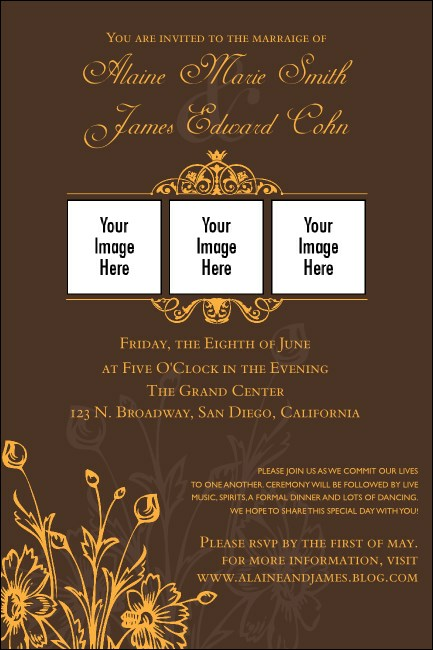 Adorned with delicate designs and flowers on a warm background, this collateral features three spaces for images of the happy couple.